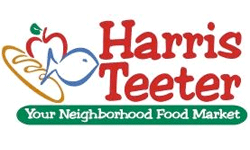 Starting next Wednesday Harris Teeter will run super doubles from 10/30 to 11/5. This means any coupon $2 or less will double!! You’ll still be limited to 20 coupons doubled per day, but it makes for a ton of deals!! Here’s a list of mostly regular priced deals with all the coupons that are $1.25 to $2. I’ve thrown in a few $1 off coupons too (there are over 2,000 $1 off coupons so that will take me a bit). You’ll notice that most of the deals are in personal care and pharmacy since most grocery coupons are less than $1. Since they double coupons less than $1 everyday of the week normally, try to stick with the $1 or greater coupons. This is the first of three lists I will post. Remember with the new saved list feature you can save all of these to same shopping list and keep working on your list for the next 5 days before the sale starts! Tune in Monday for another list of deals in the weekly ad.